The East Valley population has grown aggressively and is projected to continue growing by 1 million new residents in the next 30 years. To continue providing world-class health care, and to prepare for the coming growth of our community, we have launched Dignity Rising. Continue to invest in community outreach efforts to ensure our most vulnerable neighbors have access to quality care in their time of need. Thank you for your continued support of Dignity Health East Valley. Thank you to the campaign planning committee. 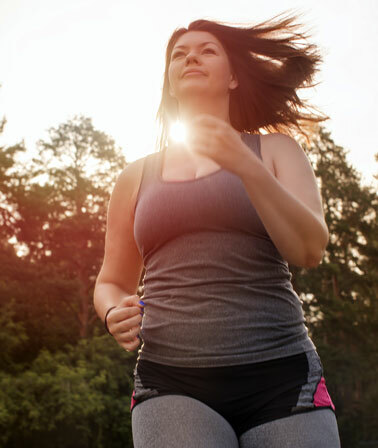 Tuesday, May 7, 2019 | 5 p.m.
Obesity is a severe public health issue and is associated with many life threatening diseases. Learn how Dignity Health is helping the people in our community begin a new life—a life of improved health, activity, and longevity. 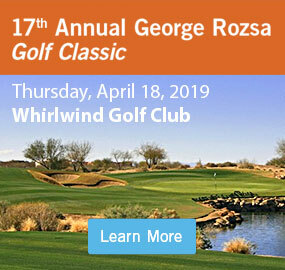 Due to limited space, RSVP to 1.877.728.5414 or online at dignityhealth.org/AZCE. Feel free to bring a guest. We apologize for the inconvenience as we have begun consturction activity for additional parking. We anticipate this project taking just over a year as part of the overall 3 year project. We anticipate construction being complete by 2021 on both hospital campuses and will keep you informed through this newsletter. Beyond the hospital, creating nearly 300 additional jobs and over $40 million in annual economic output throughout the local economy. 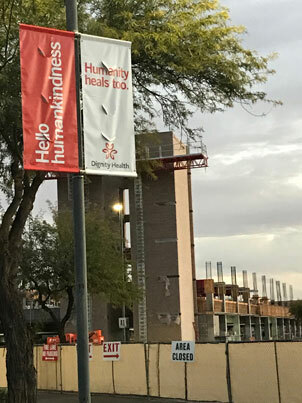 Dignity Health is currently conducting a similar study for the Women’s and Children’s Pavilion construction in partnership with Phoenix Children’s on the grounds of Mercy Gilbert Medical Center.